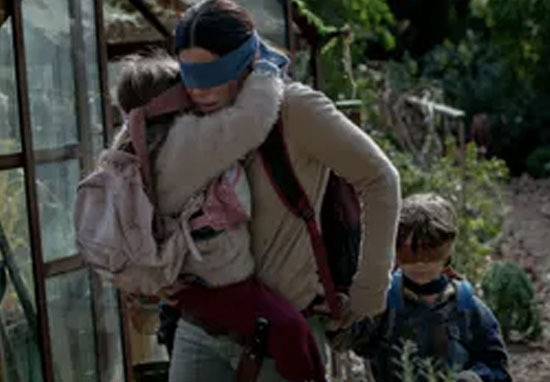 Unless you’ve been living under a rock, you’ll have heard of the Netflix original Bird Box, which has been taking the world by storm of late. Not literally but you know what I mean! Anyway, the post-apocalyptic thriller, starring Sandra Bullock, has garnered a lot of hype online, with people deeming it the scariest film of the year – if not ever. Well it seems it’s living up to the hype because the much anticipated film has already broken a Netflix record, in just the first seven days since its release. Now, I’ll be upfront with you here and tell you the truth; I am yet to watch Bird Box because I’m a complete wimp when it comes to scary films. Seriously, I’ll hide behind my hands, cushions, the sofa… You name it, I’ll do anything to avoid watching them. So if something’s deemed to be the scariest film of all time, you’d better believe I’m avoiding it like crazy. #Sorry, not sorry. But luckily for Netflix, 45 million people aren’t like me, because that’s the number of Netflix accounts that watched the thriller in the first week following its release. If you take into account the thought people probably aren’t watching the film alone (because who watches scary films alone) then the figure of 45 million is likely to be a lot bigger. According to Netflix, this is a record for the streaming giant and is the ‘best first seven days ever’ for a Netflix film. Which, when you think about the number of Netflix original movies there are, is pretty damn impressive. Am I really the only person who hates being scared? When you lay eyes on the mysterious and dangerous force, it’ll cause you to take your own life, meaning Malorie and the children’s best hope of survival, is to operate blind. Nope, I’m out. I mean, I was out at ‘unknown force’ but when you add into the equation the fact all of the main characters are blindfolded – nope x 10. 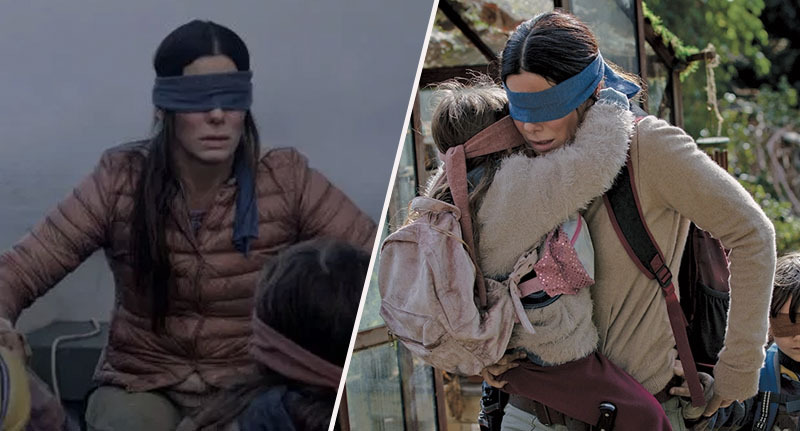 I think the main thing I’ve taken away from the release of Bird Box – without having watched it so, y’know, take this with a pinch of salt – is that no one seems to know who Sandra Bullock is. Which is a complete travesty. Everywhere I look I’m seeing people describe her as ‘the lady from Bird Box‘ and, I’m sorry, but that is not acceptable. C’mon guys, really? Miss Congeniality, Gravity, The Blind Side, Premonition… ring any bells? STOP 🗣 SAYING 🗣 SANDY 🗣 BULLOCK 🗣 IS 🗣 “THE LADY FROM BIRD BOX” 🗣 SHE’S 🗣 SO 🗣 MORE 🗣 THAN 🗣 THAT! if i EVER HEAR someone disrespect SANDRA BULLOCK by calling her “that lady from bird box”…. Congrats Netflix. And, of course, to the queen that is Sandra Bullock.